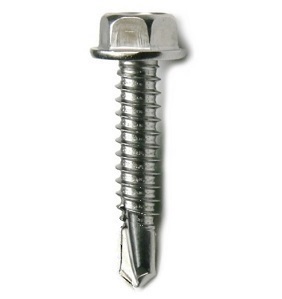 #12 Metal-to-metal fastening self-drilling screw. Used in sheet metal to attach purlins and channels to structural studs. Commonly used in up to 5 gauge steel.